Managing employee trading, also known as personal account dealing, is likely at the top of the list for any compliance officers trying to lock down potential conflicts of interest at their enterprise financial firms. As with so much of modern business life, software is the key to successfully managing every aspect of this universally daunting compliance challenge. Here's what well-designed software can do and how it can help. Properly managing employee account dealing begins with automated permissions and denials, or pre-clearance. That is, employees should have to pre-clear any trades with compliance before they are given permission to proceed. They do this by logging in to the compliance platform—ideally web-based so employees can use it from anywhere—filling out a pre-clearance request form, and awaiting an automated approval or denial decision. The system can make this kind of decision safely because the firm's code of conduct was programmed into the system's rules engine from the start. The software assesses the employee requests against firm guidelines and rapidly gives permission or refusal to make the requested trade. In cases where a rapid yes or no isn't possible, a good system will escalate the request to a multi-level review process, with queries sent out to decision-makers of your choosing. A good compliance platform doesn't do its job alone. Well-designed software will collect and integrate data from existing systems across your firm, like HR and order-management systems, and even historical trading records. This data is automatically cross-referenced when any pre-clearance request is made. This means more accurate approvals and denials, and also gives the compliance team its best shot at identifying the firm's highest risk actions and individuals. It also means an even better chance of picking up on anomalies or other unusual patterns of behavior that may raise a compliance officer's eyebrows. Some compliance platforms can be configured to draw data from internal and external sources, like news feeds. Cross-referenced with pertinent internal data, this puts even more investigative power in the hands of the compliance team. And of course, you set the rules for exactly how all this data interacts. A good platform shouldn't just put the raw data you need within easy reach, it should give you the kind of sorted and sifted data that provides a 360-degree view of employee behavior and activity. It should also allow you to easily search for specific data in any field and export information for further analysis. Sophisticated visualizations, graphs, and charts should be a given for any modern compliance platform. This will make the volumes of data a compliance officer has to deal with easier to interpret and compare. The ability to generate comprehensive, meaningful, and easily accessible reports should also be a given, with the capacity to distribute these reports automatically and at customizable intervals. Finally, reports that can be displayed in-app, saved for later use, or exported to Excel spreadsheets should be an expected software feature. Once you're on the trail of an individual or group of individuals that warrant further investigation, a fully integrated, fully automated compliance platform will be by your side from detection through case resolution—helping you keep track of all ongoing reviews and investigations. Case-management features will bring together all possible trading breaches that may require investigation and resolution by the compliance team: collating data and evidence, and letting you add annotations and assign cases properly to team members. A well-designed system will record the entire cycle, with management reports available to help identify trends and support continuous improvement in your investigative process. Something any compliance officer will need to review in the course of her investigation are certifications and attestations. Certs are your enterprise financial firm's proof of regulatory rigor. They provide an extra measure of proof your business is doing everything in its power to detect and prevent conflicts of interest. Good software will collect and store certifications and attestations and make them ready for review at moment's notice. 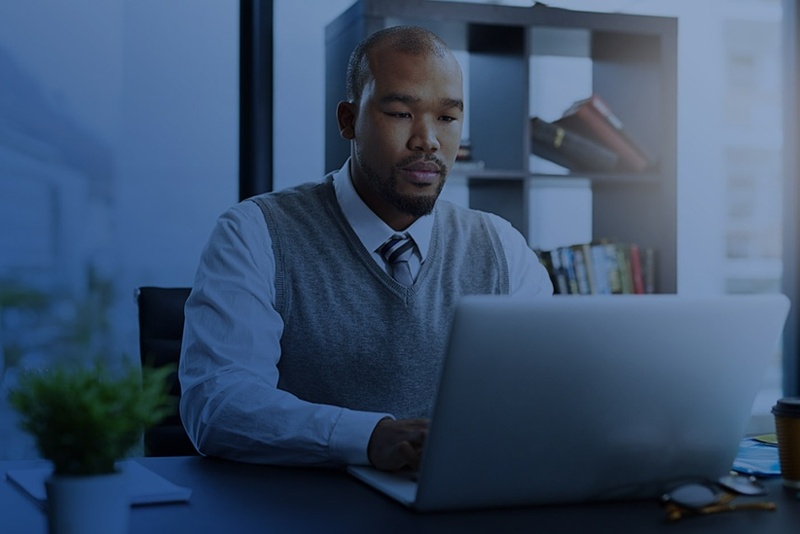 The final feature on a compliance platform wish list gets as much at the vendor who built the platform as the capabilities of the platform itself. Managing employee trading data is made much simpler and efficient with broker-feed reconciliation and automatic transaction-matching capabilities. A good vendor will seek out and establish as many broker feeds as possible, and offer them freely as part of subscribing to its platform. These feeds will allow employee provided data to be reconciled against broker data, enabling all records to be updated and anything happening out of the norm to be detected. And, of course, this kind of system entirely removes the need for paper statements to be manually checked. This is 2018, after all. The financial industry is one of the world's most heavily regulated industries. With a byzantine array of regulatory traps and pitfalls that can lead to fines, criminal charges, or worse, there's a lot to keep track of. 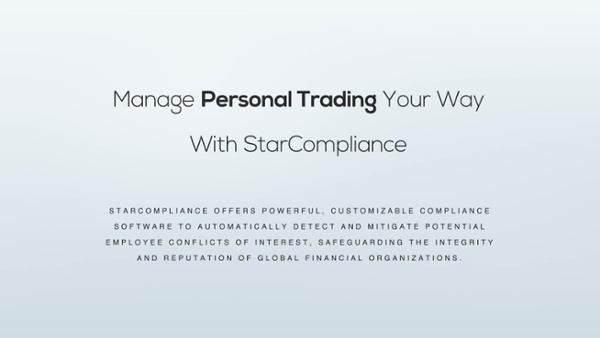 StarCompliance has been building compliance solutions for nearly 20 years. We've optimized programs for clients in more than 50 countries and have hundreds of thousands of individual users around the world. Chances are, we can help with any compliance challenge you're facing. Find out. Book a FREE demo today.